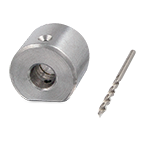 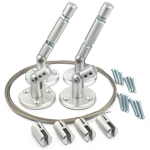 Gyford offers three distinct wire systems for your design and mounting requirements. 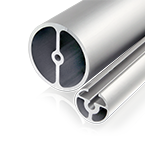 Each system is designed with different weight applications and panel thicknesses in mind. 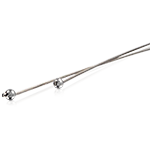 WL-Rod & Wire is an elegant wire and rod suspension system designed around 3/64″ stainless steel wire and 1/4″ aluminum rod. 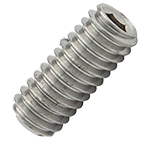 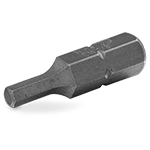 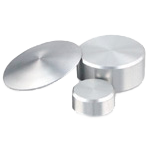 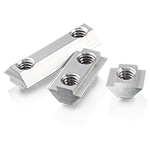 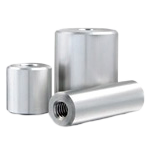 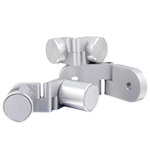 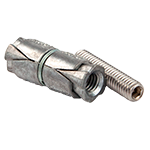 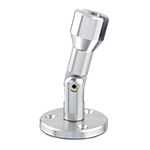 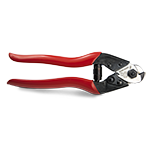 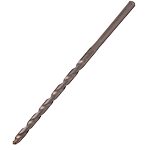 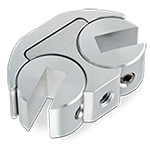 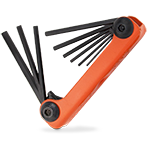 This hardware is best for suspending lightweight applications from any flat or angled surface. 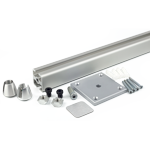 This product line consists of wire and rod mounts, connectors, shelving components and clips. 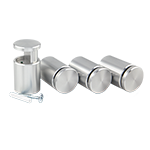 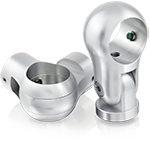 Machined from American aircraft-grade aluminum, WL-Rod & Wire products are a sophisticated selection of mounting hardware. 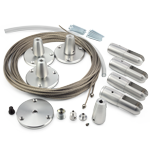 WL-Rod & Wire is compatible with our other product lines, so you can mix and match these components to create your custom design. 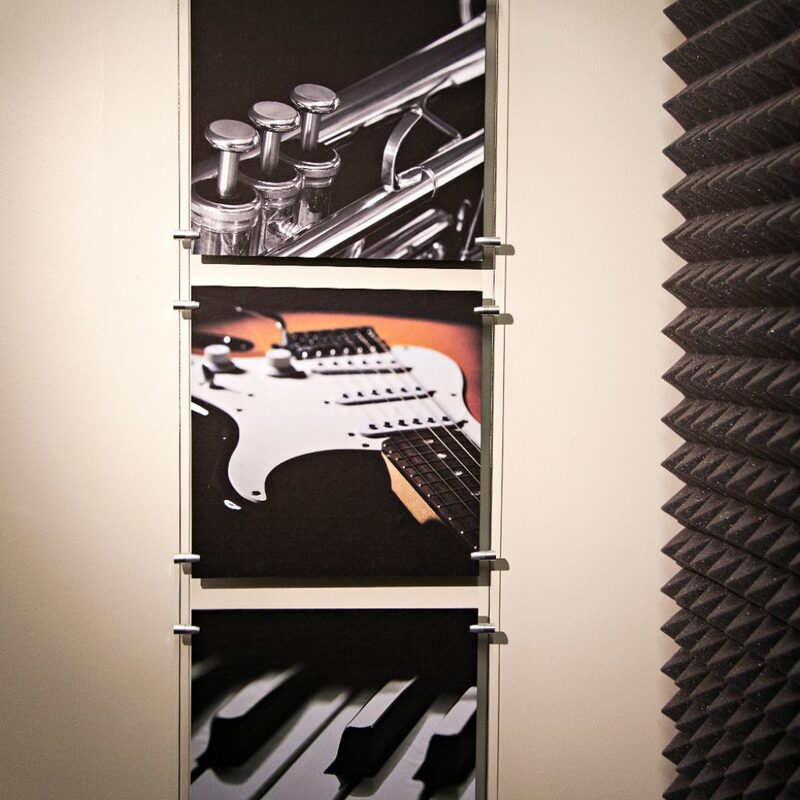 This line is great for displaying small signage, suspending artwork or creating lightweight retail shelving. 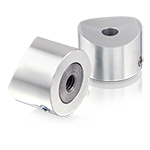 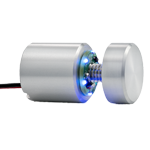 Wire Suspension is designed to support light to medium weight applications spanning a variety of distances. 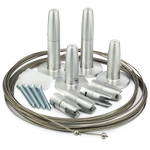 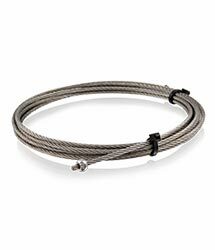 This product line uses 3/64″ stainless steel wire to suspend, grip and mount materials from any fixed or angled surface. 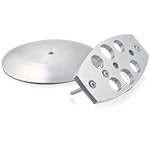 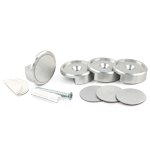 This product line contains a variety of clips, grips, pulley wheels, wire mounts and surface mounts. 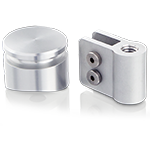 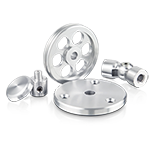 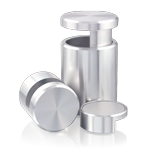 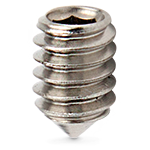 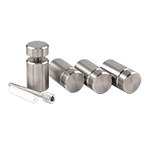 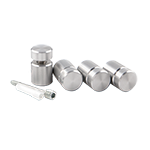 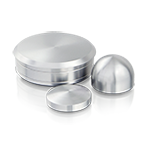 These components are machined from American aircraft-grade aluminum and are compatible with other product lines. 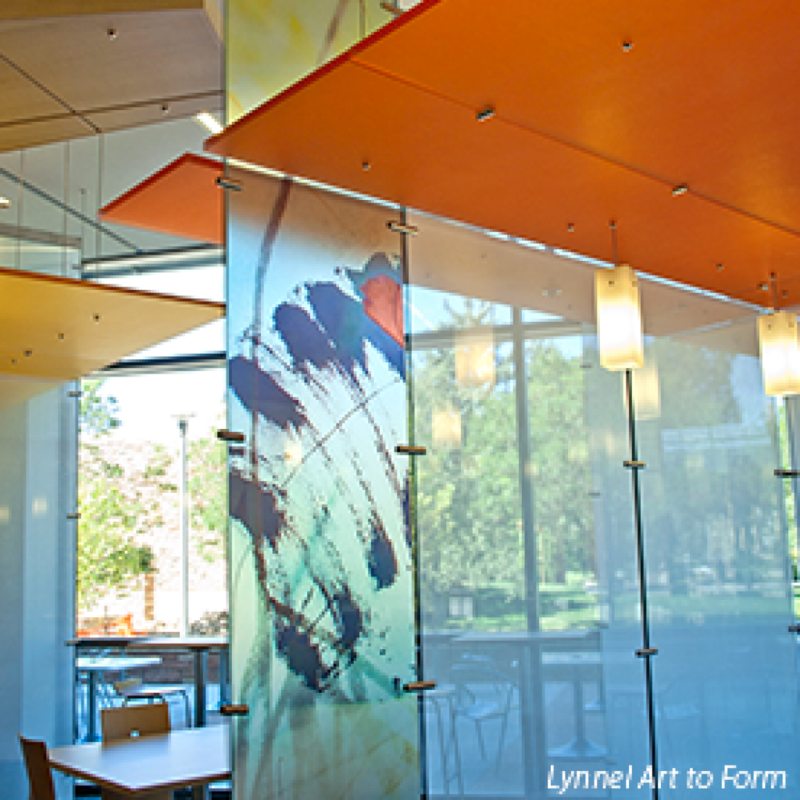 Wire Suspension is a unique design alternative for mounting graphic panels, glass, banners, artwork or architectural panels and can be used to create shelving. 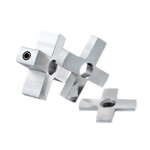 You can mix and match components to create your one-of-a-kind application. 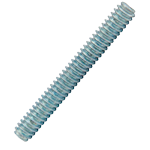 EZ-Rod & Wire can be used for heavier suspension applications and is designed for a variety of rod and wire diameters. 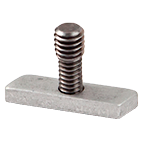 This line allows for more flexibility in combining rod and wire from any flat or angled surface. 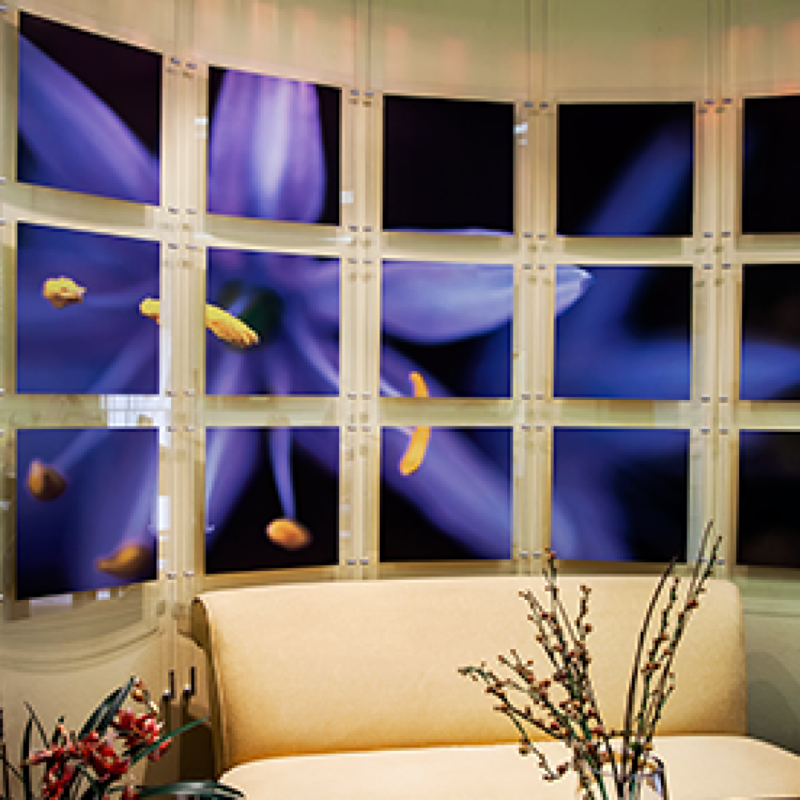 Mix and match items to design your unique installation. 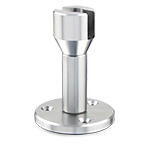 Create durable retail or interior shelving with rod and wire hardware. 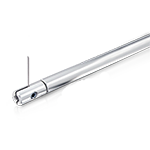 Signage, artwork, displays and other applications can be supported with this flexible product line.